Ritek has manufactured DVD-R 8X with the latest DVD manufacturing technology. The DVD-Rs are made with high-quality organic dye recording layer materials to ensure reliable recording and playback function. 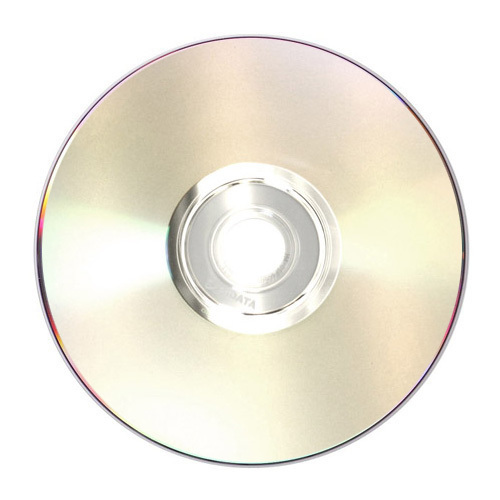 The disc has a recording capacity of 4.7G and features write-once digital versatile disc, massive data storage and retrieval, high capacity and data transfer rates, high storage density and long-term data archiving. Ritek (G05)was informed formally by DVD-Forum A-grade lab. 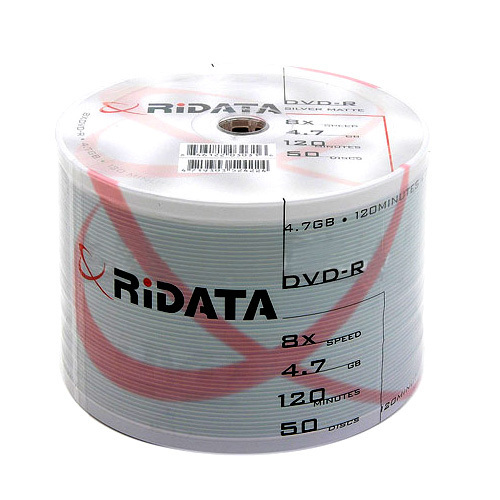 to pass the certification of DVD-R 4.7GB General use. Ritek shows its innovative technology in DVD field. Ritek DVD-R delivers stunning video resolution and audio performance for multimedia. This DVD Media is compatible with most DVD Burners. Most burners were produced over the last couple of years have primarily been "multi-format," meaning, they will burn the "-R/RW" and "+R/RW" formats. If you have a burner that is single format, meaning, it will only burn the "-" format or the "+" format, please make sure you purchase the correct format for your burner. If your burner is multi-format, either of the two formats should work fine. For higher rated burn speeds, such as 16x media, your burner must be a 16x burner in order to burn 16x rated media. You can purchase higher rated media, such as 16x rated media for a 4x or 8x DVD burner, your DVD burner will just burn that media at a slower speed. Also, it is recommended that you upgrade your burner's firmware to the latest revision. For more information regarding firmware or compatibility, please consult your DVD burner manufacturer. Most DVD burner manufacturers will only list brand named media as being compatible, when in fact, most media manufacturers don't produce their own media to begin with. There are many reasons for this, but if in doubt, we recommend you purchase a small quantity initially to see which type of media works best for you. Please click here if you have any questions regarding DVD Blank Media & DVD Burners. STILL GOING STRONG... I have gone through 600 disk so far and have had only ONE failure due to the media. So far, I have had no problems with them on my stand-alone (Philips 642). That includes DIVX-DVD and standard DVD. I have a BTC1008 and older Sony drive and both burn fine. I dont know why david was having problems with video on these discs but I have never had a problem with the 8x (G05) riteks. But it should be noted that the slower 4x (G04) riteks are better for consoles. burned 1000 of these with only 3 coasters. Burns at 12x in my pioneer dvr-a08. These work well on both my Pioneer 107 and 110 burners. Excelent Media. No costers on the 50 in my NEC 2500a and they play excelent in any DVD player I put them in. 8X is smoking fast and they are really cheap. Supose to have 100 year archive life. Awesome media, I am going to buy 100 more right now!